Police are looking for three men in connection with the shooting death of a 44-year-old man Saturday morning at a home in Pacific Beach. 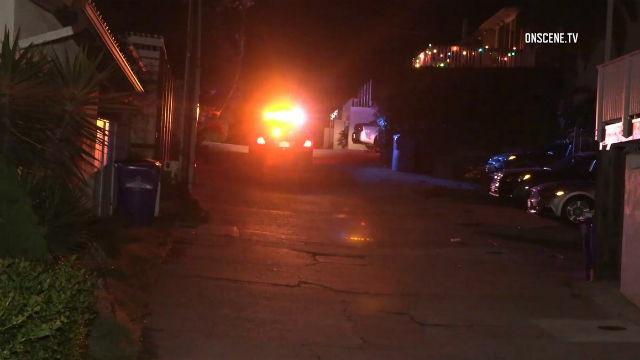 Officers dispatched at 1:47 a.m. to a home in the 2300 block of Wilbur Avenue regarding a possible shooting found the victim suffering from an apparent gunshot wound, said Lt. Matt Dobbs of the San Diego Police Department. Paramedics rushed the man to area hospital, where he died from his injuries at 2:30 a.m., Hobbs said. The suspects, three white or Latino men in their 20s to 30s, fled the scene in a white 2015 Lexus RX350 with California plate numbers 7NWK357, police said. They are considered armed and dangerous. The police department’s homicide unit asked anyone with information regarding the death to call them at (619) 531-2293.